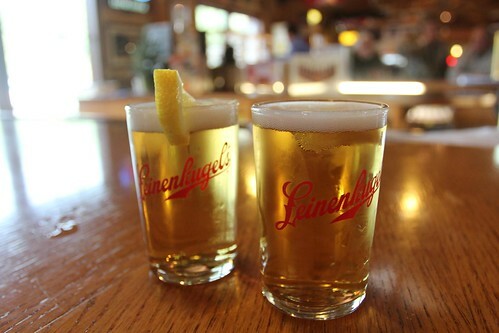 Mali Mish - Day 46: Off to Chippewa Falls for the Leinenkugel Brewery tour. With Saint Paul behind us, we only have one other predetermined visit in Louisville in about a month with the rest of our time wide open to go and do whatever we wish. 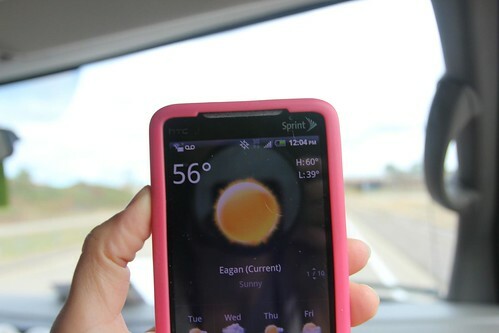 The weather here is really starting to turn on us. It has not snowed yet so we are going to keep trucking on in the Great Lakes area until it either snows on us, or we have had enough of it. We are looking at a low of 39 tonight and since we are boondocking, it will be interesting. 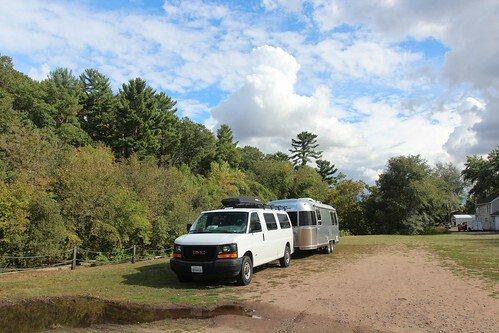 We have not had to run the furnace on only battery power yet through the night and for most of you with a newer Airstream, you’d know that it is one of the more power hungry appliances. 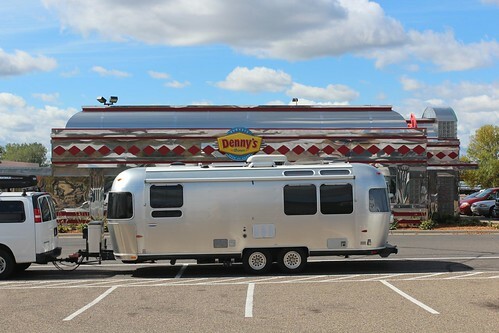 We stopped just as we entered into Wisconsin and had lunch at this really cool looking Denny’s. It is cladded in all stainless-steel panels and styled as a turn-of-the-century diner. 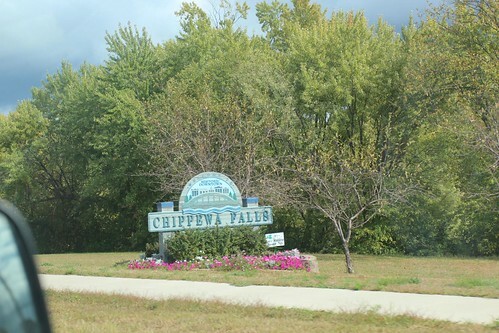 Our first stop for the day is Chippewa Falls just north of the town of Eau Claire. It is a small town of about 13,000 people but it is also home to a very well known and respected craft brewery called Leinenkugel. If you are a movie buff, you might also remember that Chippewa Falls is where the character Jack Dawson was born from the movie Titanic. We have heard a good deal about Leninekugel in the last week or so from some of our facebook friends. Also during our Costco visit, I found some beer brats made in Sheboygan made with their beer. We had never heard of or tasted Leninekugels before so when we had our BBQ a few nights ago, I bought a six pack of their Oktoberfest from Trader Joe’s and it was awesome. Leinie is kind of a big deal here and is sort of the pride of Wisconsin, right behind their cheese and football. 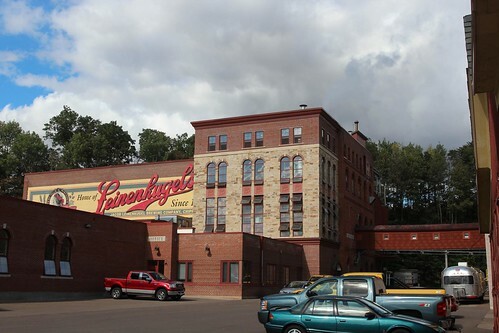 This brewery was founded by Jacob Leinenkugel and John Miller in 1867 at this very location. In 1884, John Miller sold his stake of the brewery to Jacob and was never heard from in the brewery business again. 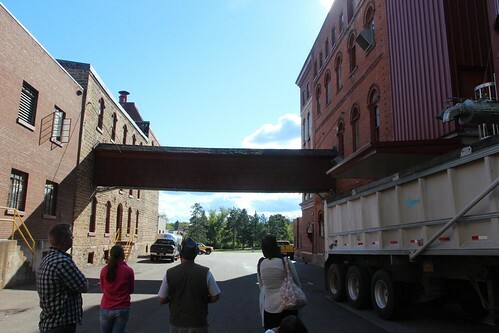 I asked our brewery tour guide about what happened to the Miller family after the buyout, for some reason, no one bothered to keep up with their whereabouts. I thought it was strange for a co-founder of a popular brewery to just disappear from the business that way he did. Obviously, John Miller is of no relations to the Miller Brewing Company here in Milwaukee. 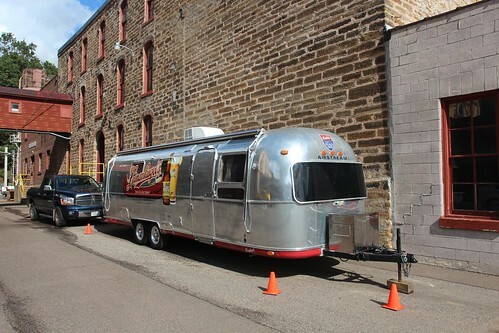 At the brewery, we were surprised to find an Airstream parked right outside one of their buildings. Apparently it isn’t always here as it is usually traveling the country doing promotional events but since there will be an Oktoberfest event right here in Chippewa Falls this weekend, we are lucky to be able to catch a glimpse of it. 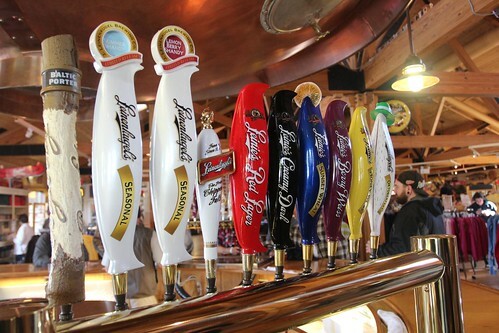 As a craft brewery, Leinenkugel makes a whole line of specialty beers. It is one of the biggest craft breweries in the nation behind Sam Adams, Sierra Nevada and New Belgium. The tour is completely free and it comes with 4 samples of whatever beer you want that is on tap in the tasting room. We took a guided tour of the brewery but like many smaller scale breweries and distilleries, no photography is allowed inside the buildings. Even though it is considered a craft brewery, it is actually owned by SABMiller after the acquisition in 1988. It is one of the oldest breweries in the area dating back before prohibition. Like many other breweries, it resorted to make soda and other non-alcoholic beverages. As soon as it was repealed, it resumed its beer making operations and has not stopped since. Our stop at Leinenkugel was just the right kind of break we needed since departing Saint Paul. However, we have a lot more to see here in Wisconsin so we decided to press on after a couple hours break at the Walmart. 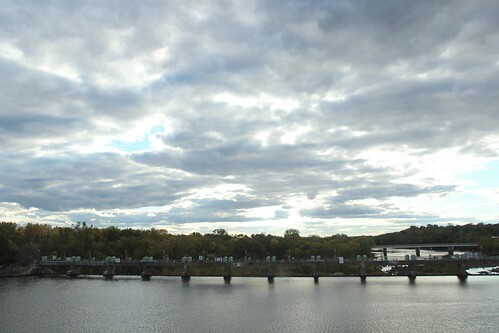 About 90 miles east of Chippewa Falls is Wausau, Wisconsin. That is where we decided to spend our night in another Walmart parking lot. The near freezing overnight temperatures plus the overcast skies during the day is really putting our power consumption to the test. Running the furnace all night can pretty much run us dry on power and if we don’t get a good full day’s worth of solar charge on the following day, it will be tough for us to pull off 3 straight nights of boondocking like we did through Utah, Colorado, Wyoming and South Dakota. Let’s hope the weather turns around for us at least through the next few days. 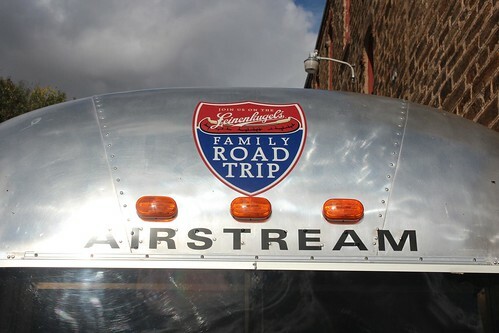 3 Responses to Day 46: Off to Chippewa Falls for the Leinenkugel Brewery tour. 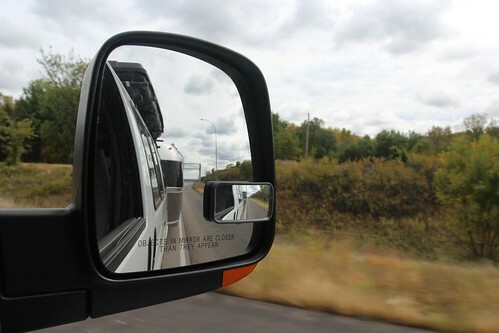 When my kids were just a little older then yours, we took them to the Brewery – The smell of the yeast and brewing ‘grosssed’ them out – cut to a trip when the kids were in college as I was driving one to Madison, and they had no problems at all . . .
Ahhh, that smell of the yeast and brew was awesome! Smells like a batch of fresh sour dough bread rising in the oven.